After teasing fans for months about new music, the 1975 recently announced their plans to drop two new albums. The news, while welcome, threw fans for a bit of a loop. In past interviews, the band’s frontman Matty Healy shared that their next album would be titled Music For Cars, but as the album progressed, Healy changed his mind and decided to make Music For Cars the new 1975 era. Under this new era, fans will see the release of the bands forthcoming album, A Brief Inquiry Into Online Relationships, which is a follow-up to the band’s previous album I like it when you sleep, for you are so beautiful yet so unaware of it. Then, the band will release their fourth album, Notes On A Conditional Form. With all of these changes, it makes sense for there to be a little confusion. 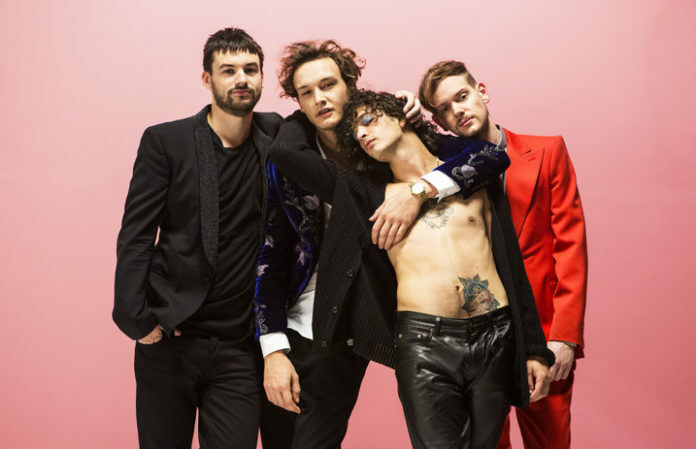 In a new interview with Music Week, the 1975’s manager Jamie Oborne talked the band’s recording process and future plans. Oborne also told Music Week that the band will be dropping one song each month ahead of the release of their new album, A Brief Inquiry Into Online Relationships. He also shared the band will officially make a return to the stage beginning January of next year. Are you excited for new music from the 1975? Sound off in the comments below!